Whether you are flying solo, partying with friends, or looking for a fun night out with your sweetheart, Hollywood Blvd Crawl club crawls will show you the best of LA nightlife, VIP style. Get ready for an evening of decadence and debauchery, as you tour L.A’s trendiest and highly coveted nightclubs, such as: Playhouse, Lure, Ohm, Supperclub, and beyond! With over 20 years of experience, the Hollywood Blvd Crawl team has mastered the ins and outs of how things work in this city. The Hollywood Blvd Crawl is perfect for singles, couples, bachelorettes, birthdays, business professionals or anyone who wants a fun night out on the town. We have the entire evening mapped out, so you can relax and party, not worry about where you are going next. Its simple and what we do. 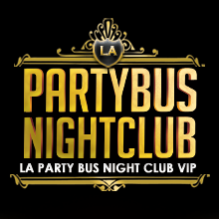 Contact us for today for LA VIP nightlife made easy! CHECK-IN 9PM CALLE TACOS AND PRE PARTY at 6508 Hollywood Blvd, LA, CA 90028 – corner of Hollywood and Wilcox. Here you will meet your VIP Hosts and other fellow crawlers. ** Don’t worry if you are feeling a little shy. Our hosts will introduce you to your new party crew and kick start the social vibe for the night! Mix and mingle. Enjoy complimentary shots, $3 Beers, $5 Patron Shots, $2 off Margaritas and Micheladas and tons of freebies.